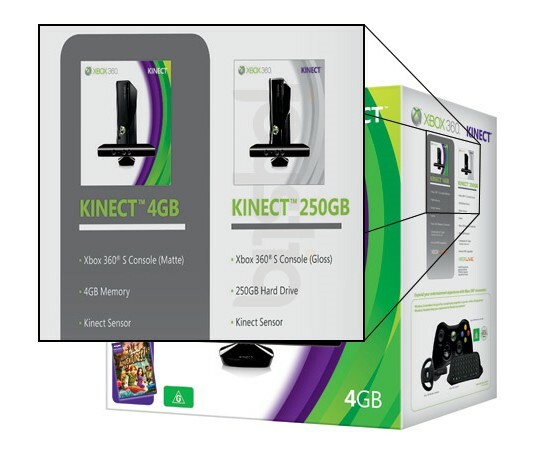 Images of Australian box art for an Xbox 360 Kinect hardware bundle has revealed a new 250gb pack with the motion controller included. Also specified was the gloss Xbox 360 S, a headset, composite cable and Kinect Adventures along with some installed games and demos on the hard drive. It arrives in November.